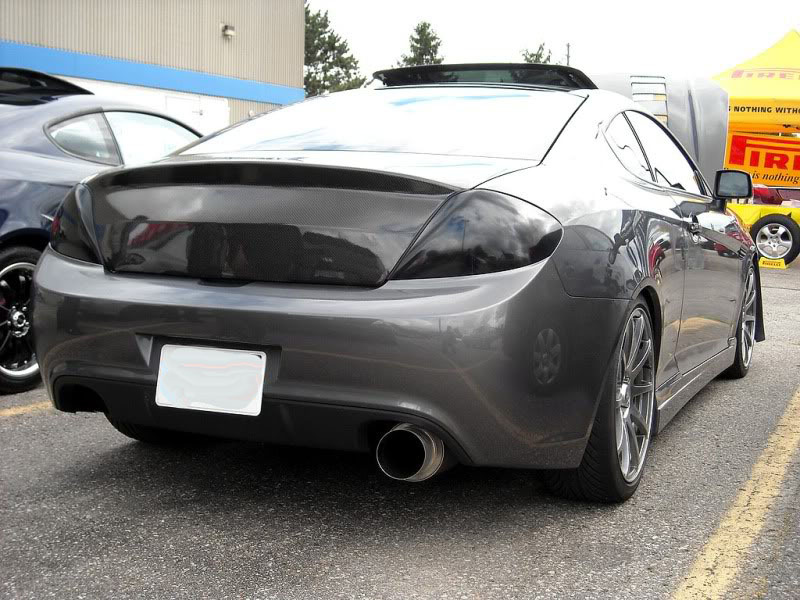 The legendary Jun B.L single-outlet catback exhaust system for the 03-08 Tiburon 2.0L. This is a 100% perfect bolt-on system that requires no modification or welding at all. Direct OEM replacement that will free up valuable hidden horsepower within your 2.0L Tiburon and increase performance. The sound is deep and aggressive all the way up through redline. 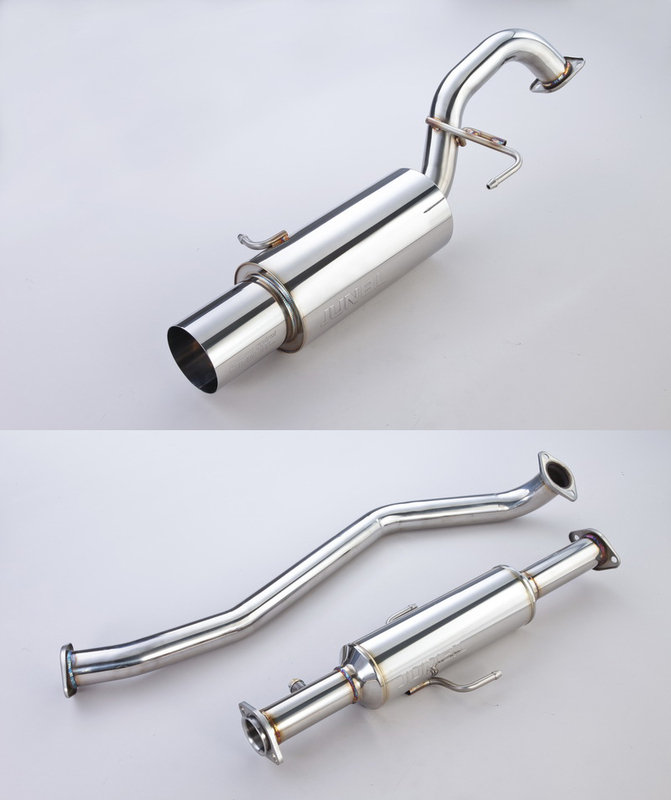 One of the highest quality catback exhaust systems on the market! No ground clearance issues since the mufflers sit up within the lower alcoves of the car's underside, instead of hanging down lower like some other exhaust applications. Includes: Axle-back muffler system, 2-pc mid-pipe w/ high-capacity resonator. Piping size is 2.5" and muffler tips are 4.5". Price includes shipping anywhere in the world. Some exceptions may apply.